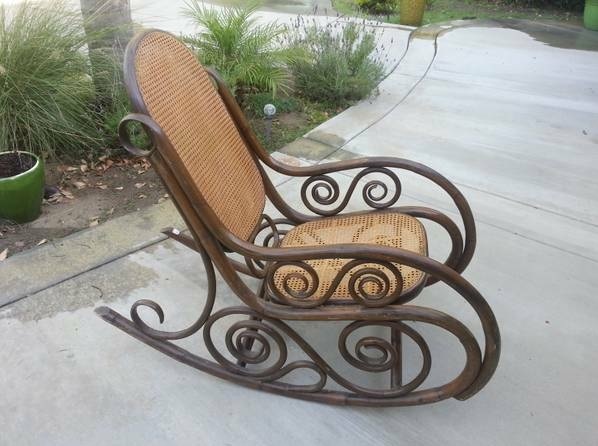 Or this lovely bentwood rocker. These pop up quite often but usually the wicker/cane needs repair. This one looks to be in excellent condition. Side note: check out this sweet painted one from the Habitat for Humanity ReStore in Santa Ana for a whole $32! you can see a small hole in the upper corner, but hey, nothing a little blanket thrown over it couldn’t hide! If you happen to be in need of a whole new dining room (like maybe you did take everything out of your house so you could start all over? well done, you! 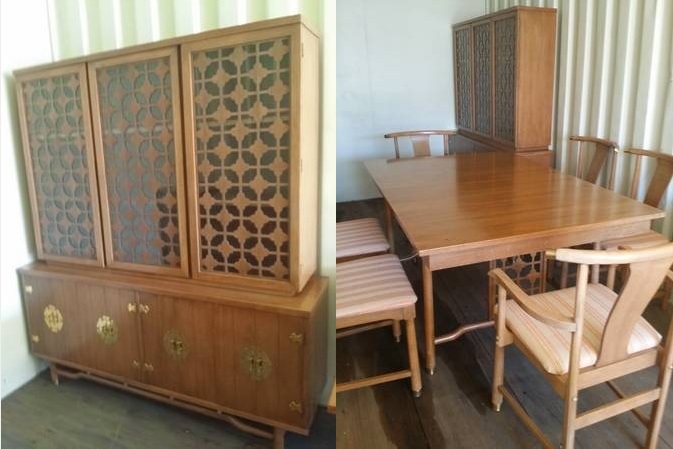 ), this is a killer deal for everything (buffet, hutch, dining table, and chairs) you’d need and really all you’d have to do is update the upholstery on the dining chairs. Such a steal. And I just can’t resist the brass and those cloister-like details which are not only beautiful on the hutch, but cleverly tie in on the table base. Too much good stuff, I tell ya! 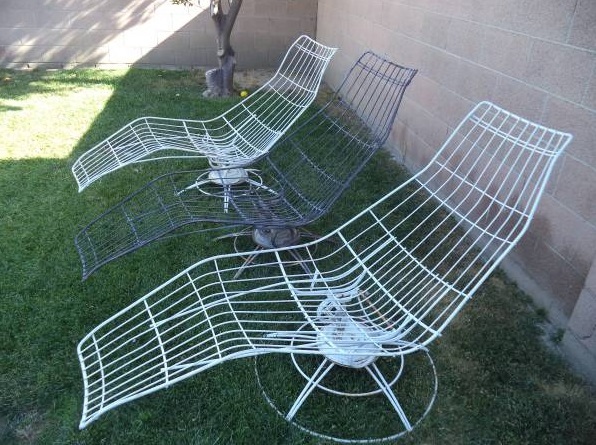 And the other day I was reading a blog (sorry, can’t find it now) and the writer was lamenting about how she completely regretted not snatching up a pair of midcentury wire lounge chairs like these for her non-existent patio. I sort of want to buy them for her now. But I can’t recall who she is so maybe I’d just keep them for myself. I do love them. 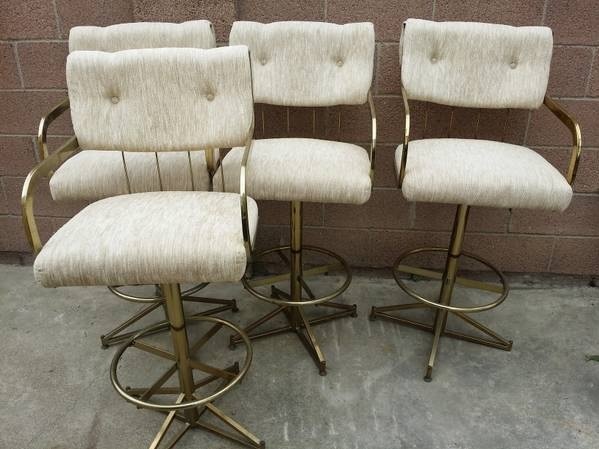 Have you scored anything amazing on Craigslist lately? What are you currently searching for?